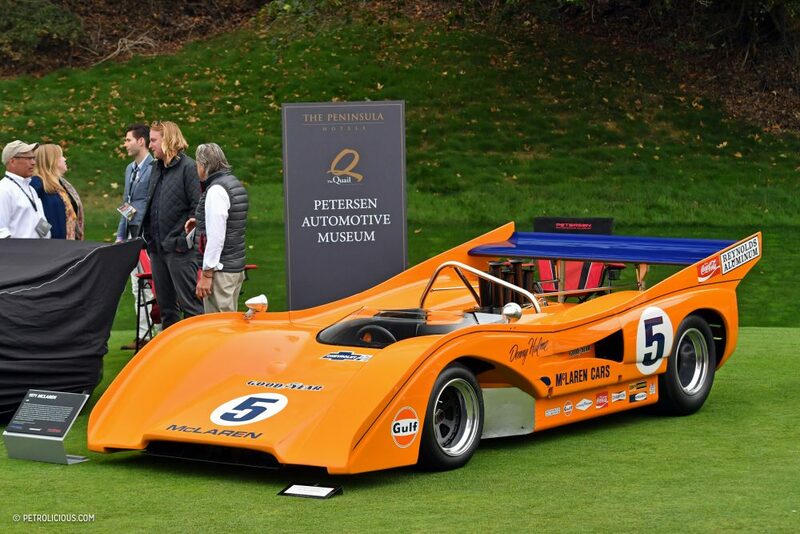 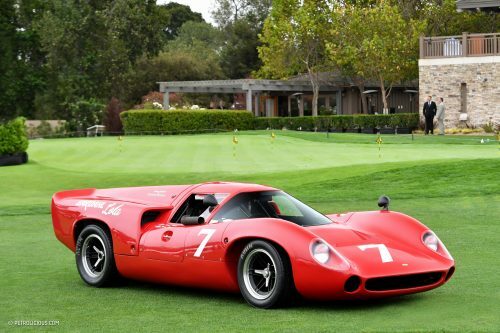 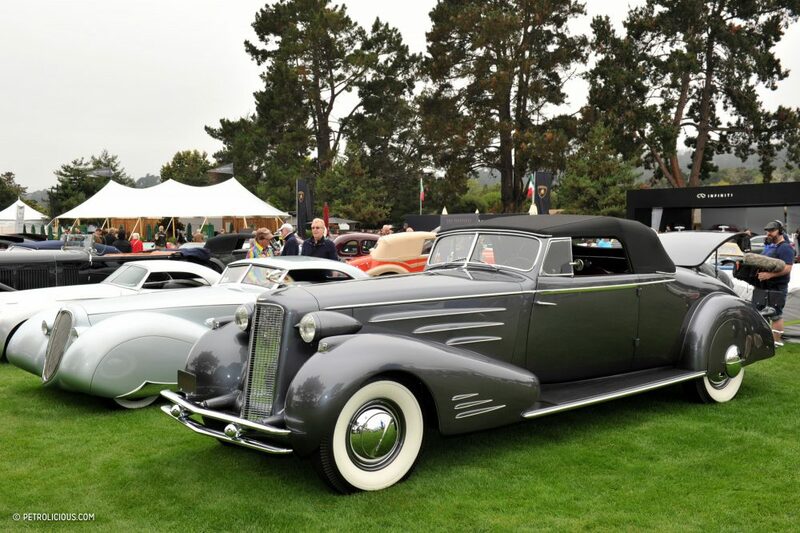 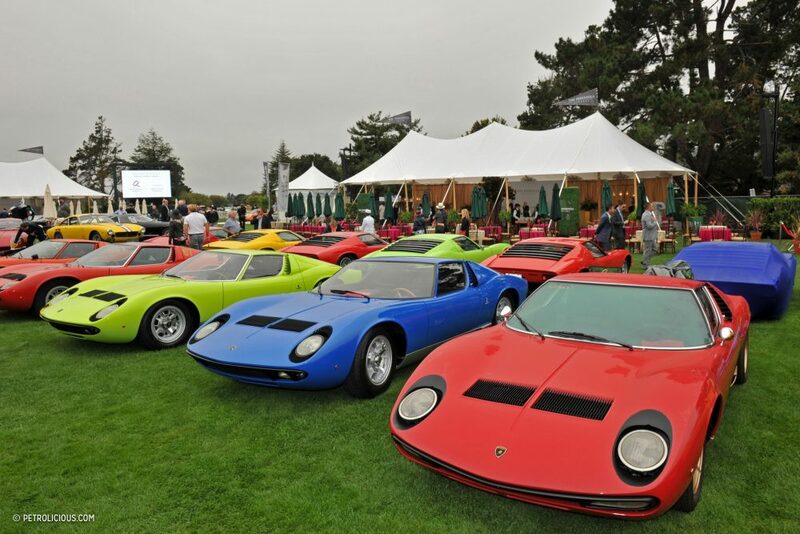 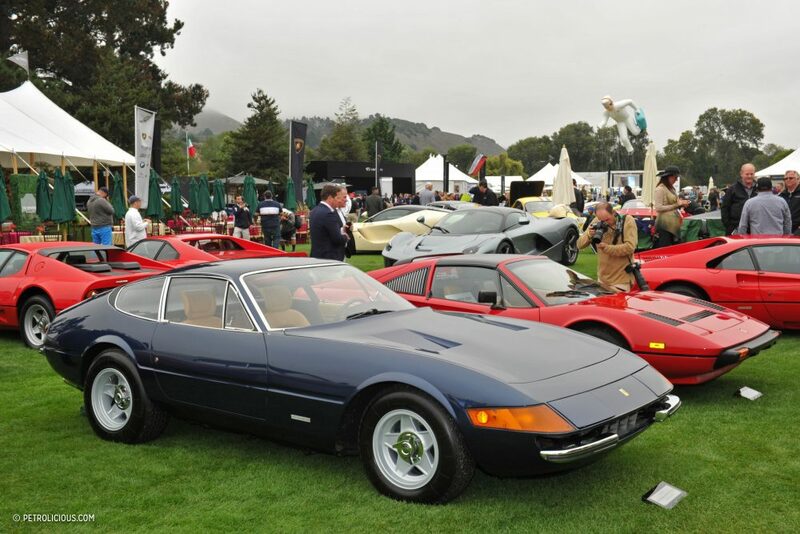 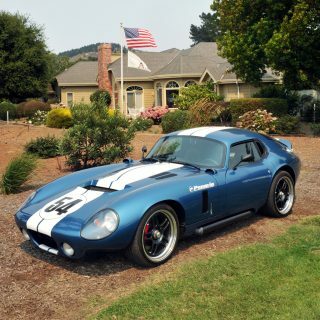 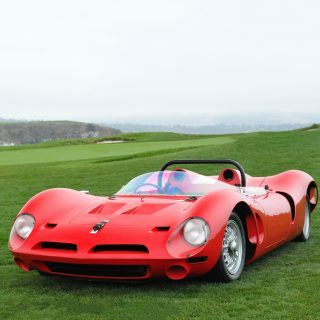 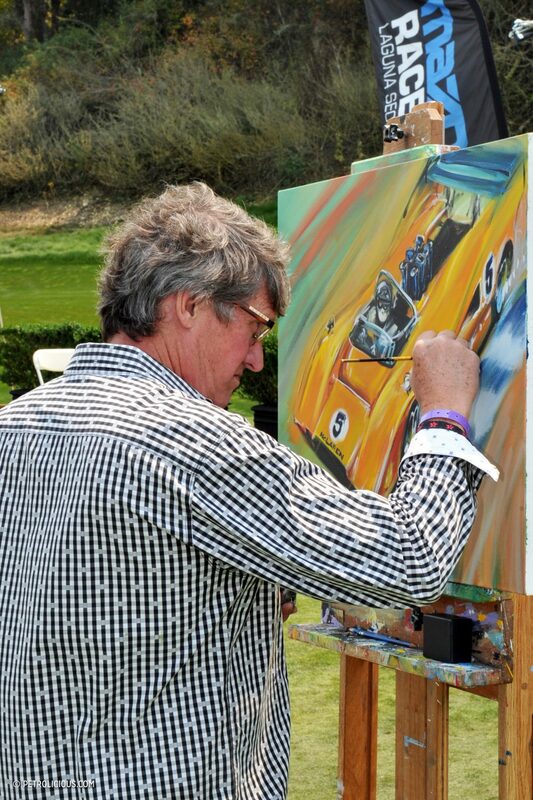 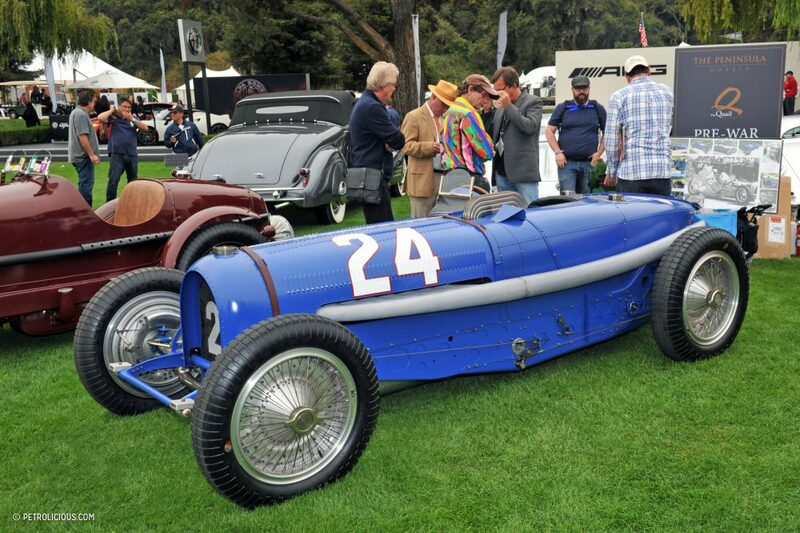 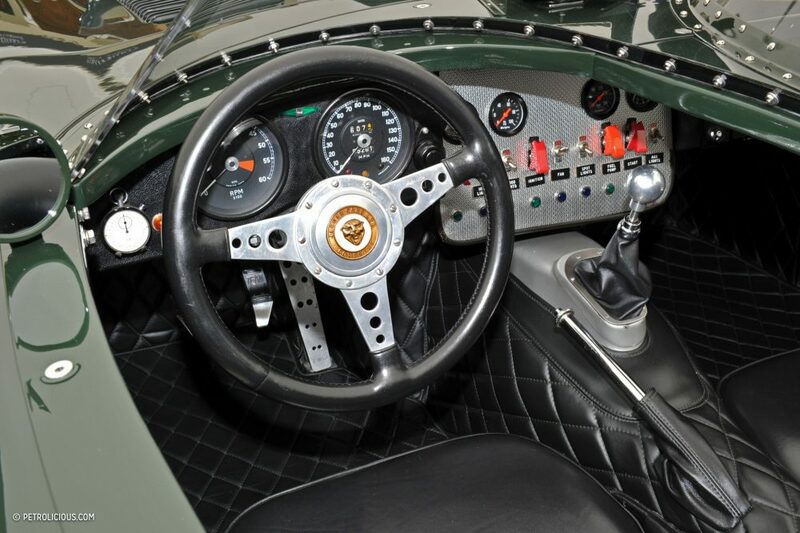 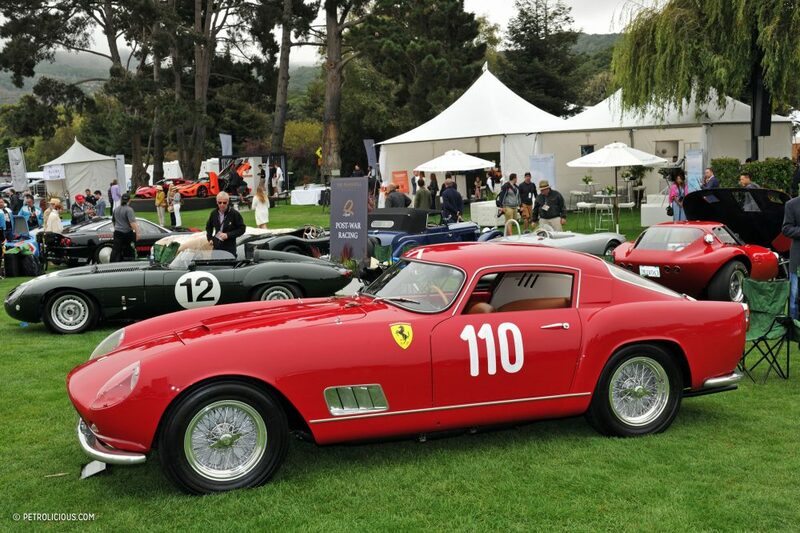 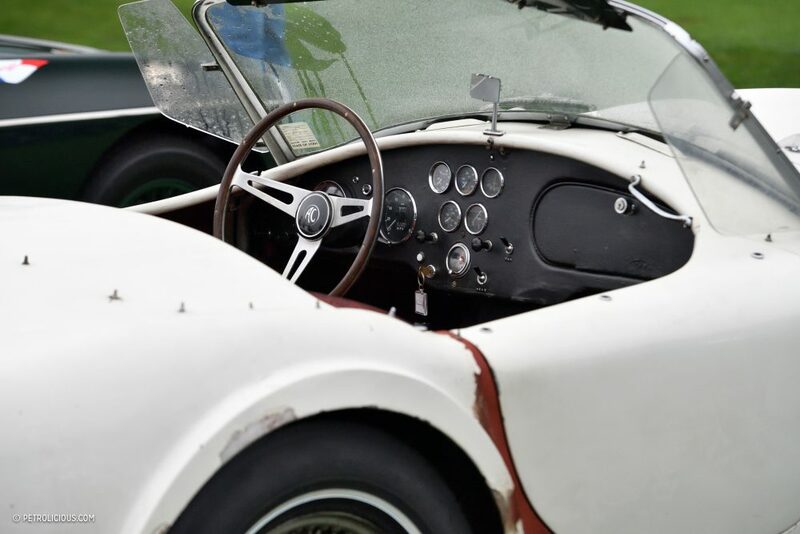 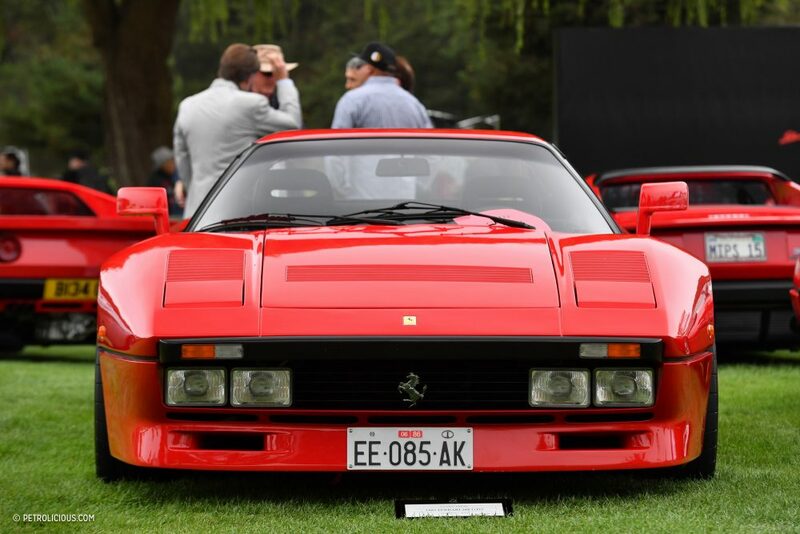 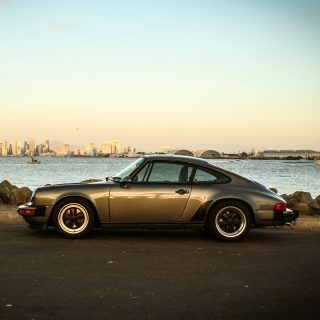 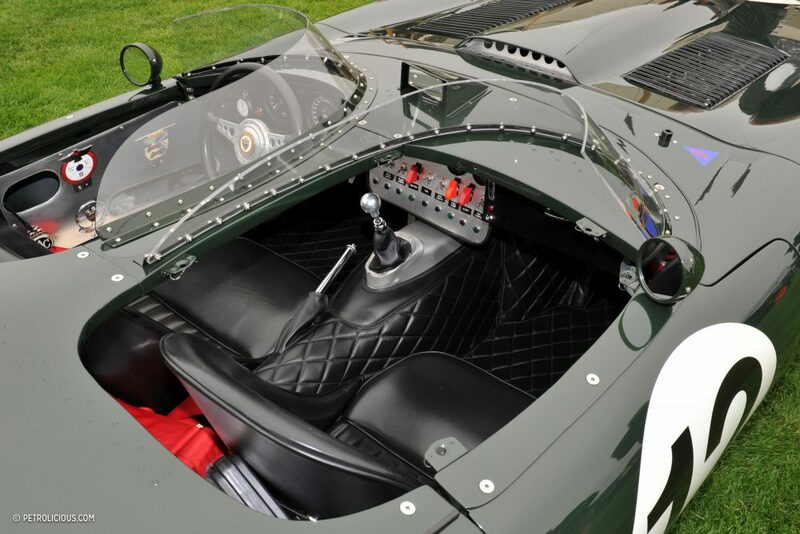 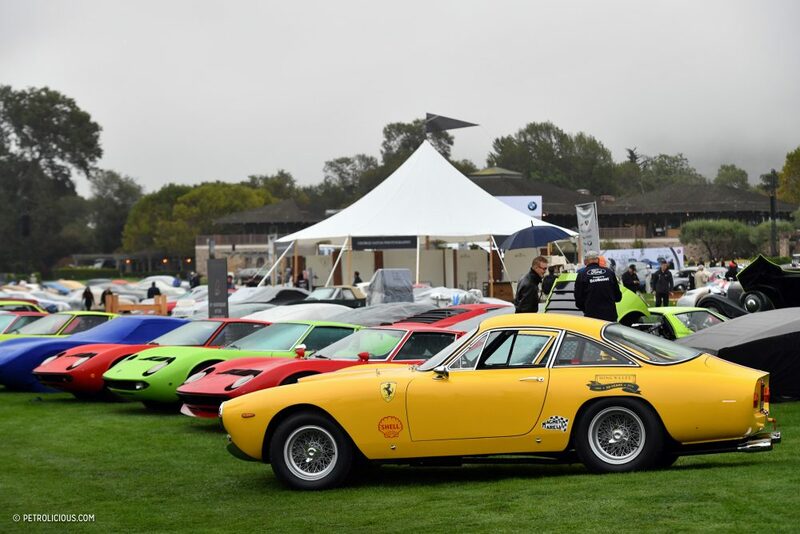 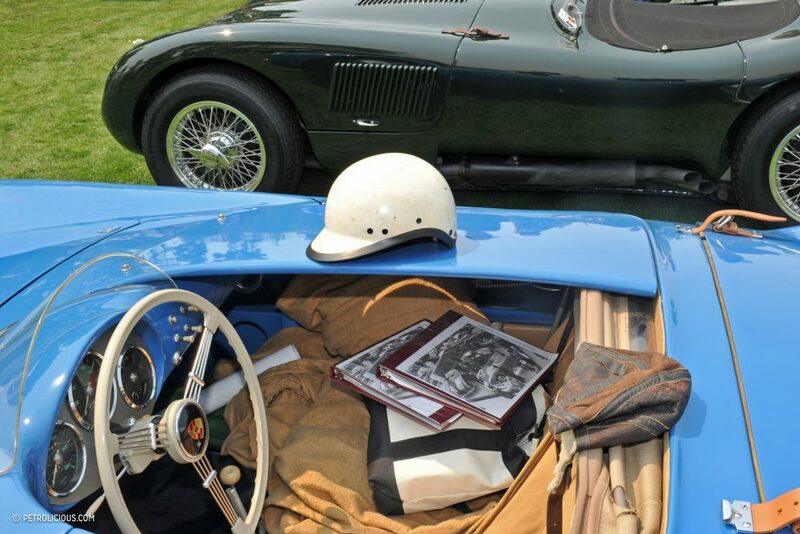 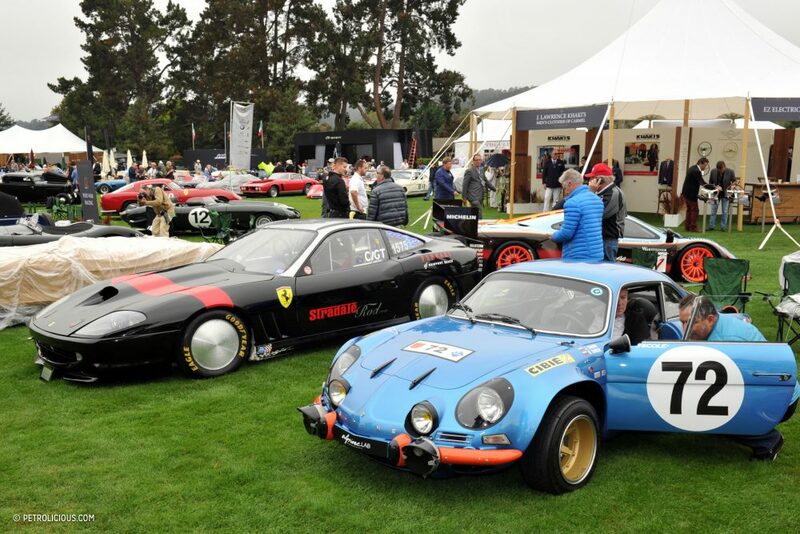 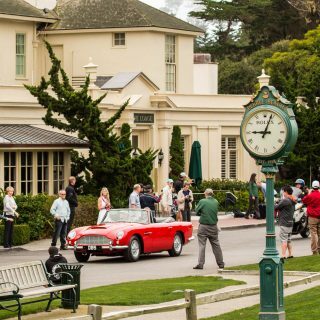 It’s a place you have to see to believe, but The Quail: A Motorsports Gathering has all the vintage, classic, and exotic metal you could hope to see in a lifetime—all parked, gleaming, sorted, and ready for enthusiasts to pore over. 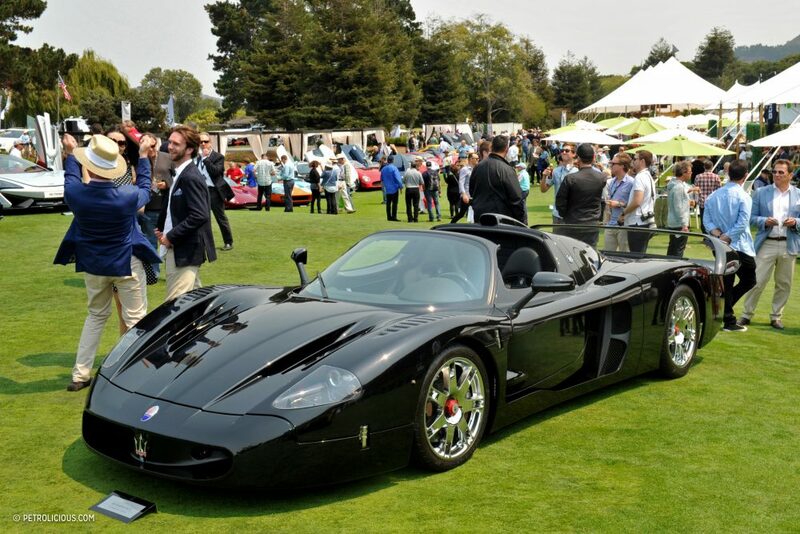 Here are the machines we couldn’t get enough of this year. 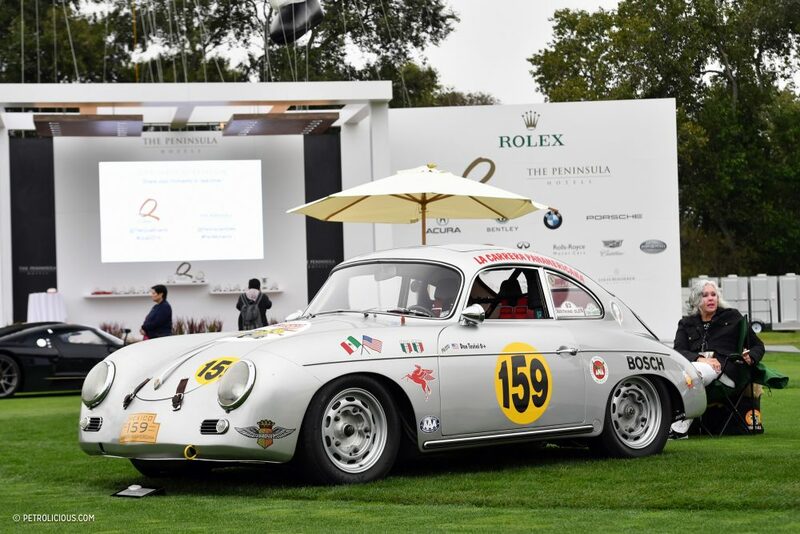 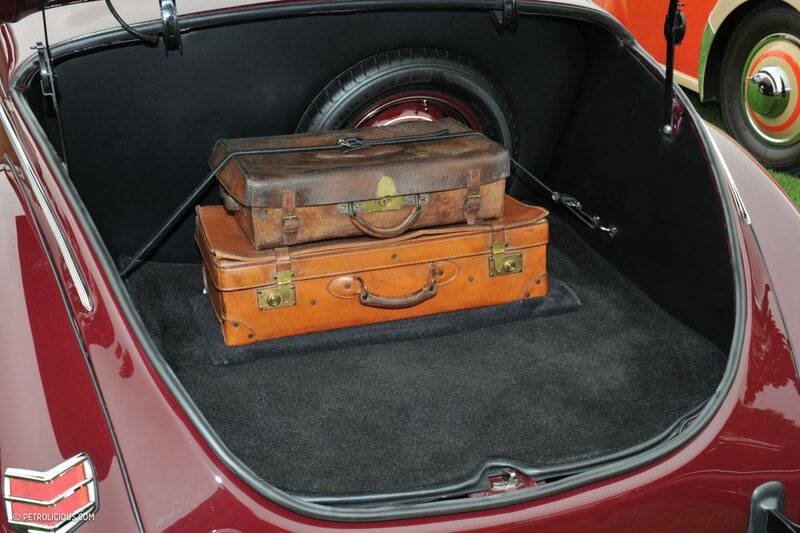 Held at the expansive and beautiful The Quail Lodge & Golf Course, it’s more like having several events in one; Bonhams holds an auction in conjunction with the show gathering, and the classes of vehicles on offer are each good enough to build a show on. 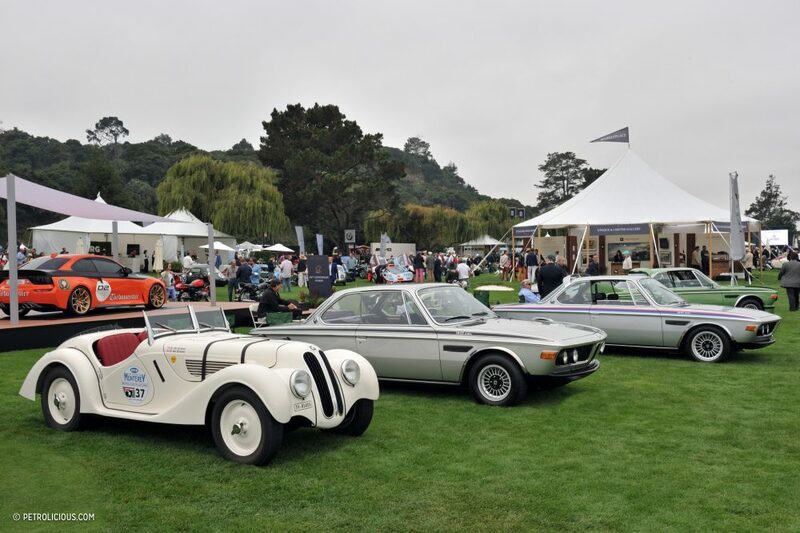 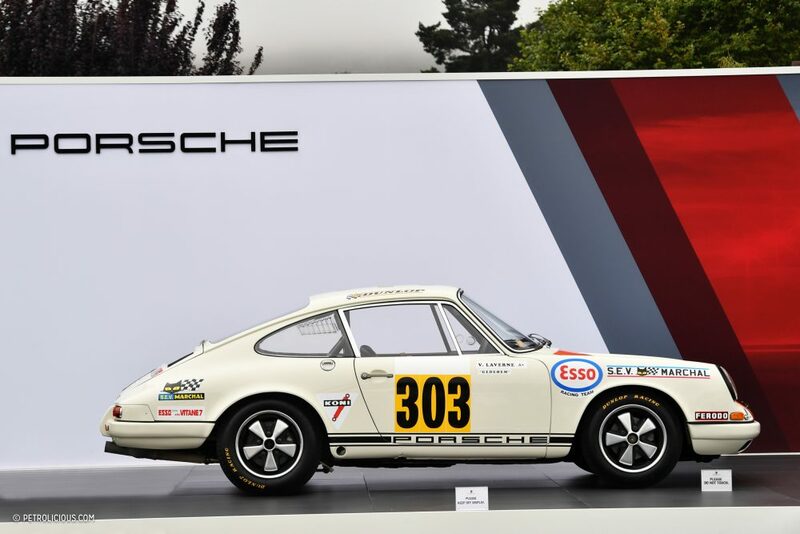 This year, the 100th anniversary of BMW was a main attraction, with rivalries, stars of the Laguna Seca circuit, the Lamborghini Miura, and racing motorcycles also including seriously special machines. 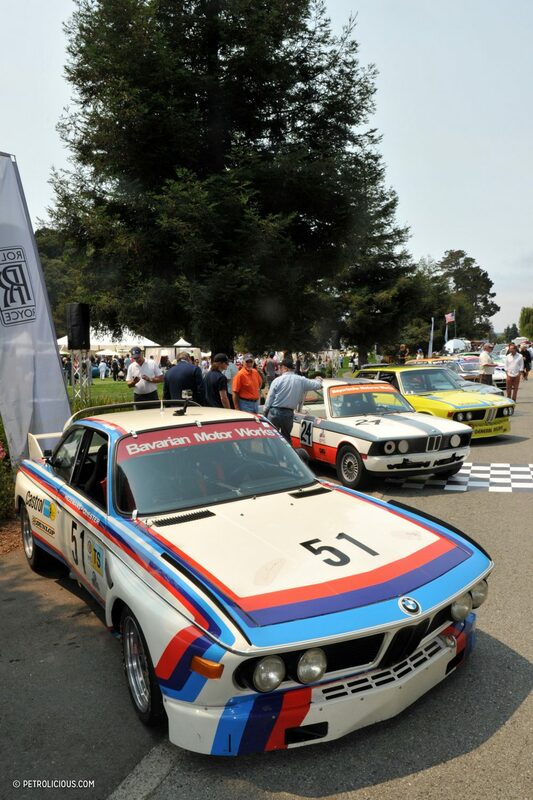 Seeing BMW’s classic race cars actually moving was a definite highlight, as were both the hotly-contested Post-War Racing and The Great Ferraris classes. 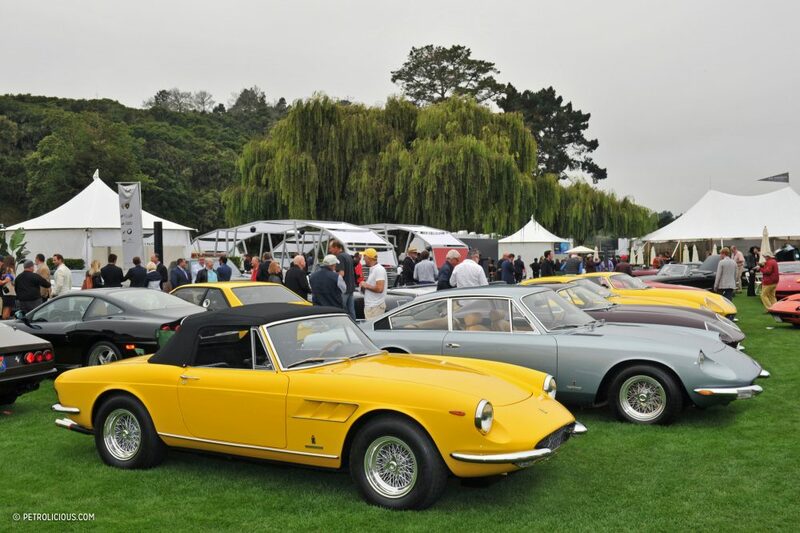 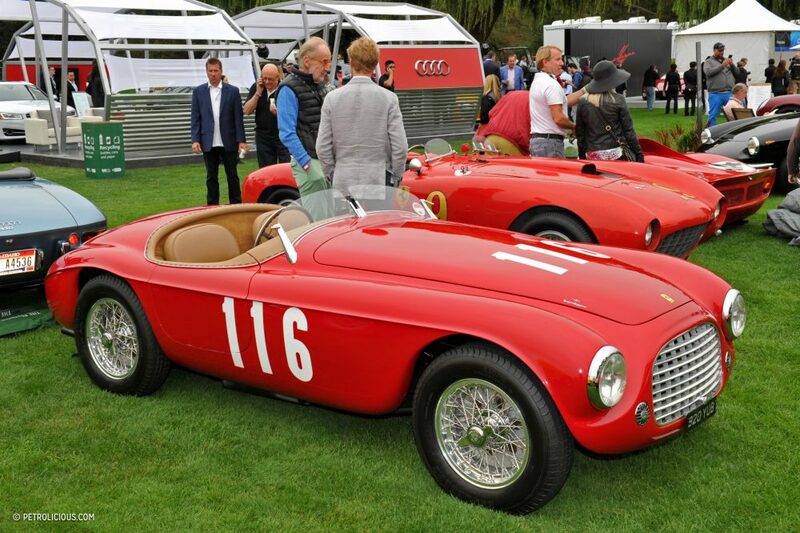 Of the Ferraris, the overall Best In Show award went to a 1953 Ferrari 375 MM Pinin Farina Spider…that had been sidelined for four decades because of a braking problem. 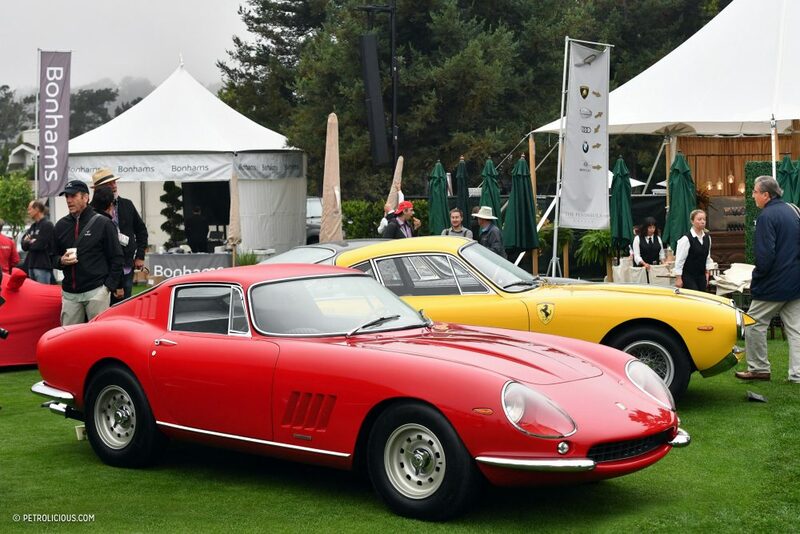 Winning any prize at The Quail is special, but doubly so because awards are voted on by other owners who are showing their vehicles. 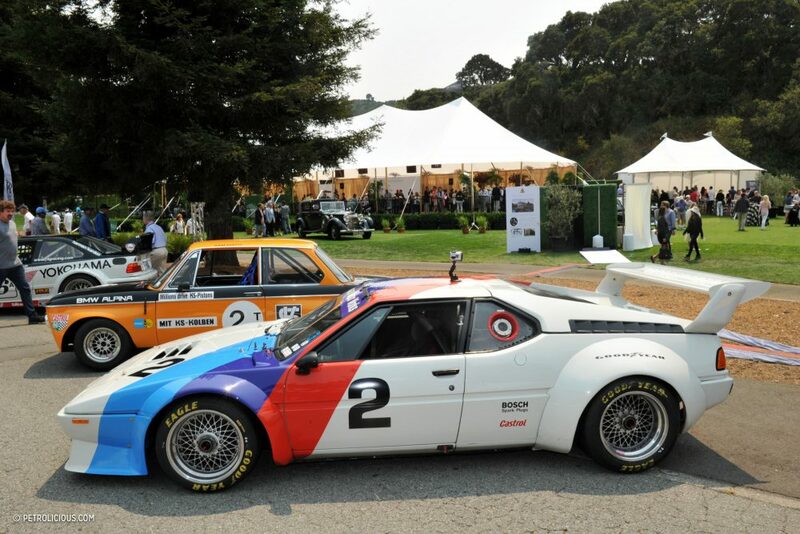 Which of The Quail machines would you have awarded with the show’s top honours? 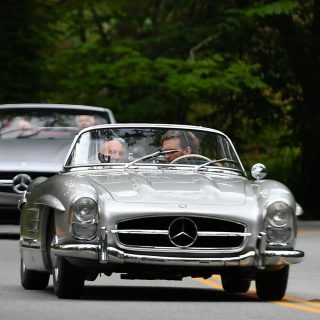 what is the gullwing car with number 39 on the side? 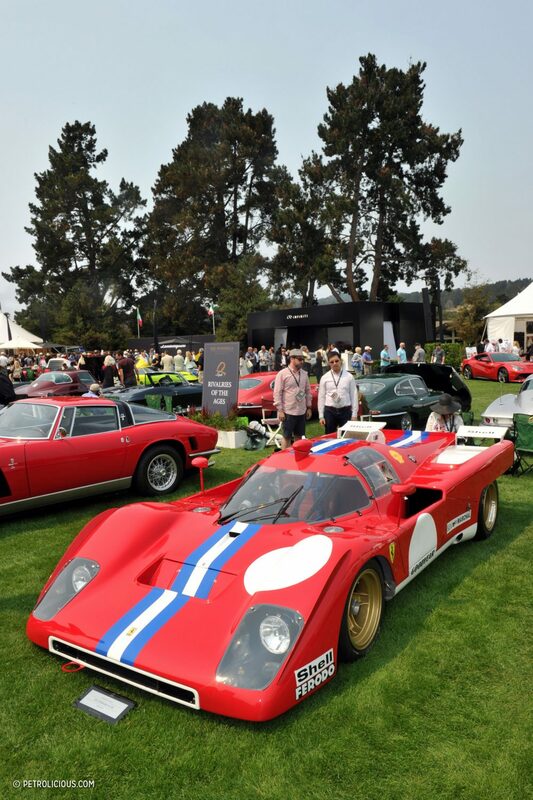 The cars are gorgeous. 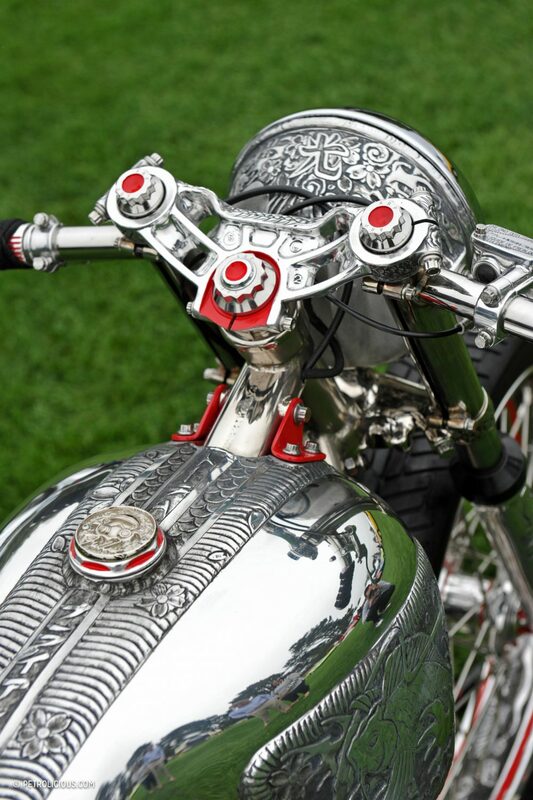 That bike is a breath-robbing work of art! 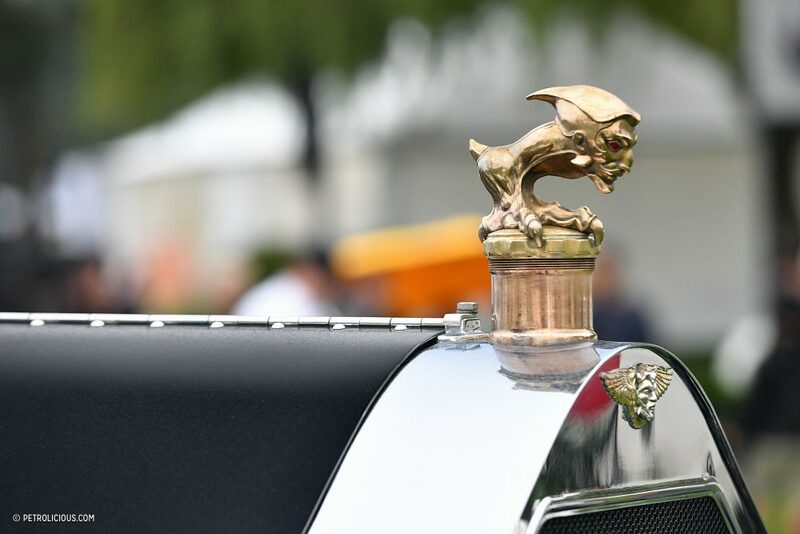 Does anyone know the make or model of the car with the hood ornament of a head and claw? 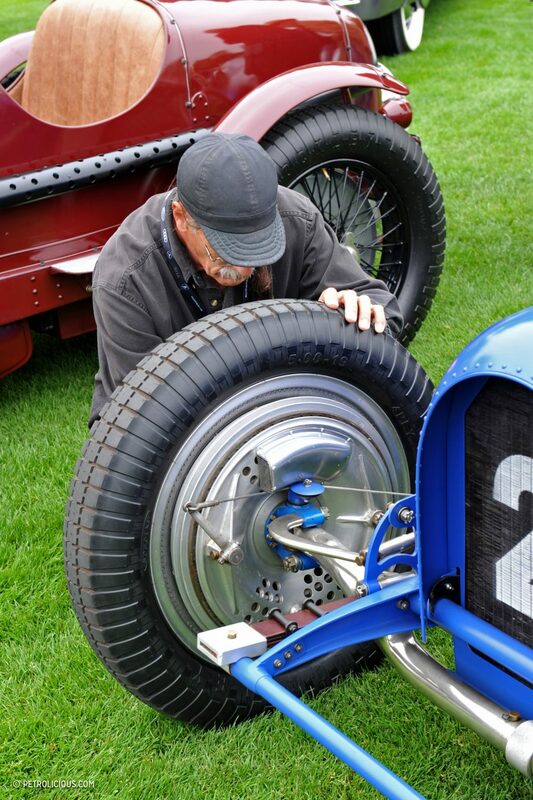 I must add that that might be the prettiest radiator cap ever. 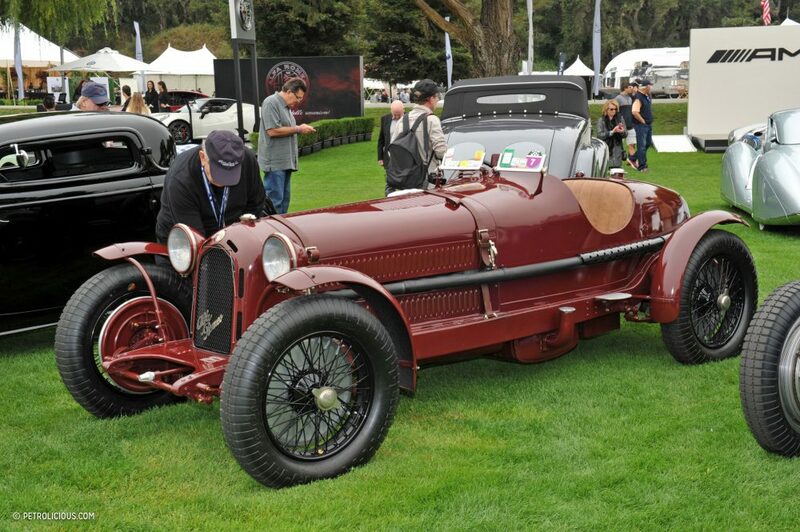 Gary Wales had a very modified and massive 1917 LaFrance Type 12 fire truck — “La Bestioni” (his name for it, I believe) with that hood ornament. 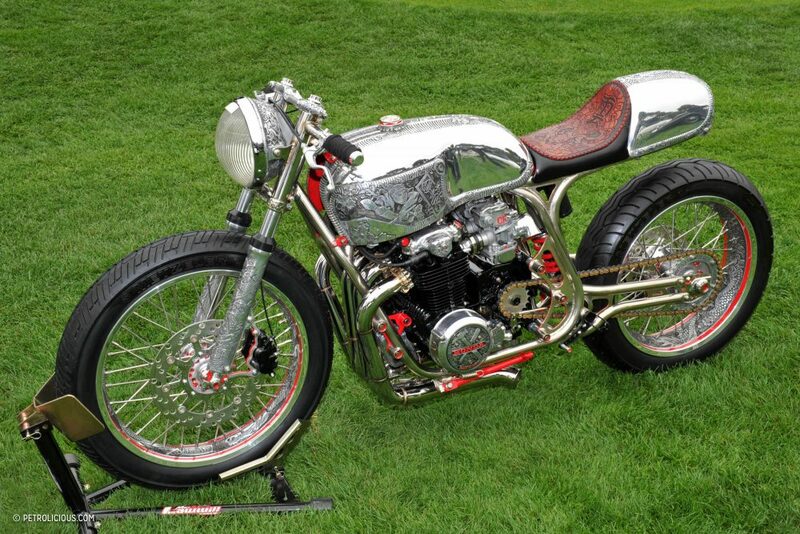 He’s made a few other customs this way but I’m betting each is unique. 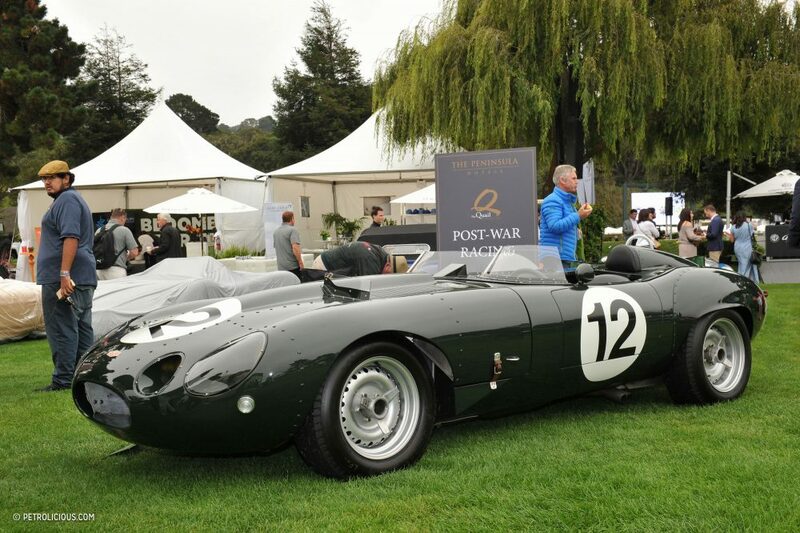 What is car #12 dark green and under the Post War Racing sign. 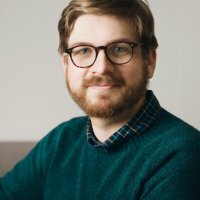 I need to know. 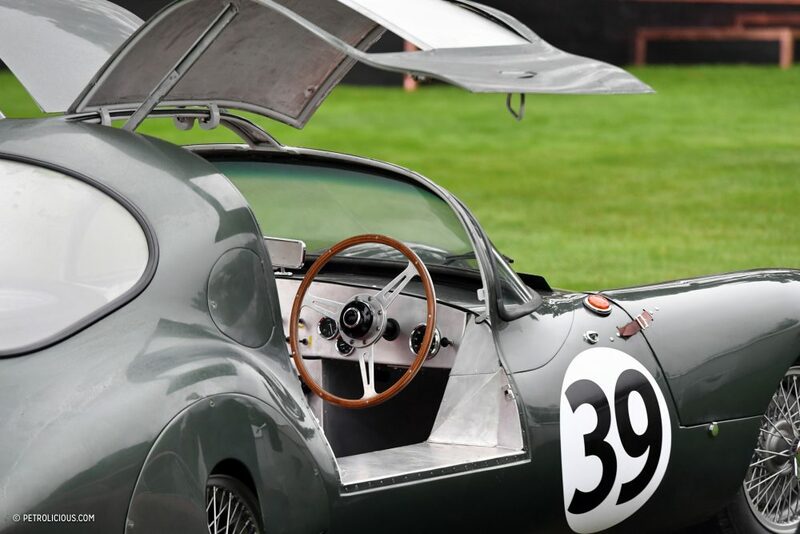 That was a 1963 Jaguar E-type, with racing modifications (but I don’t know if it has been a racer). 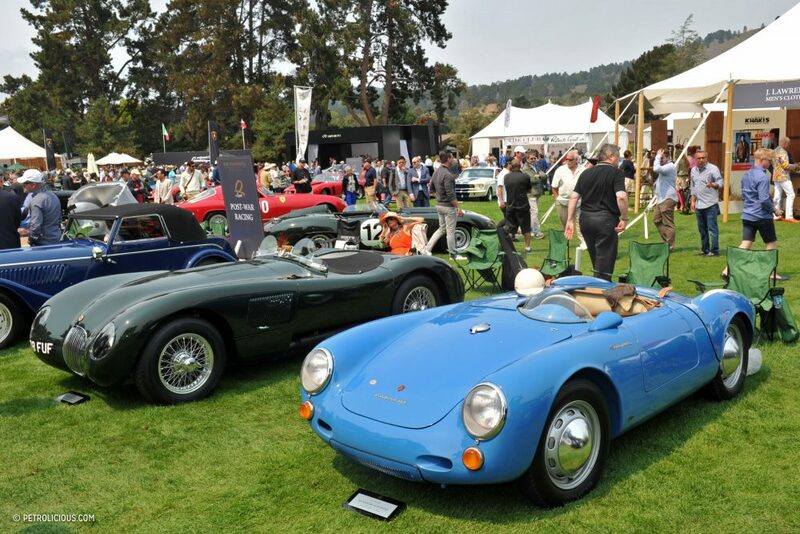 The blue Spyder & the black Daytona & that’s all I need. 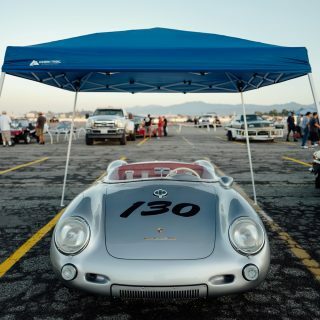 Super photos as usual. 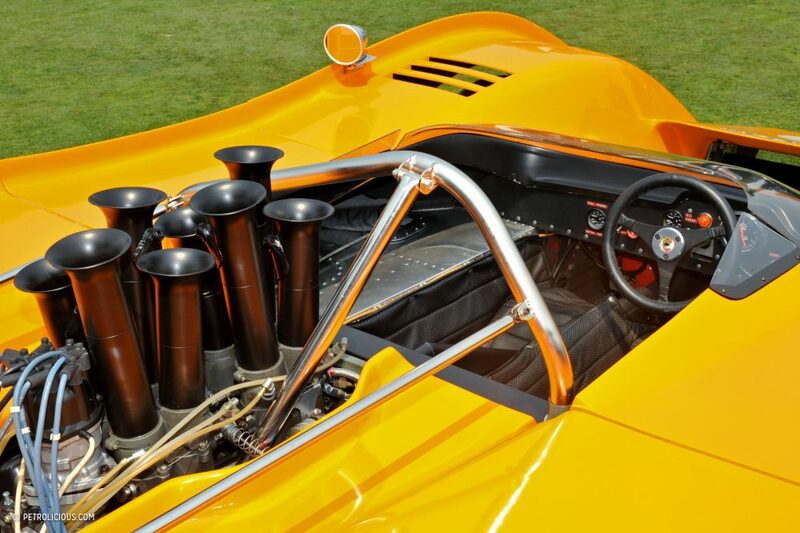 Congratulations to the photographer.